Besides, Justice V.K. Tahilramani is to take over as the Acting Chief Justice of the Bombay High Court on 5 December, as Justice Manjula Chellur, who has been in charge since August, 2016 will attain superannuation a day before. Despite the ever-mounting pendency of cases, eight High Courts in the country are functioning without regular Chief Justices. 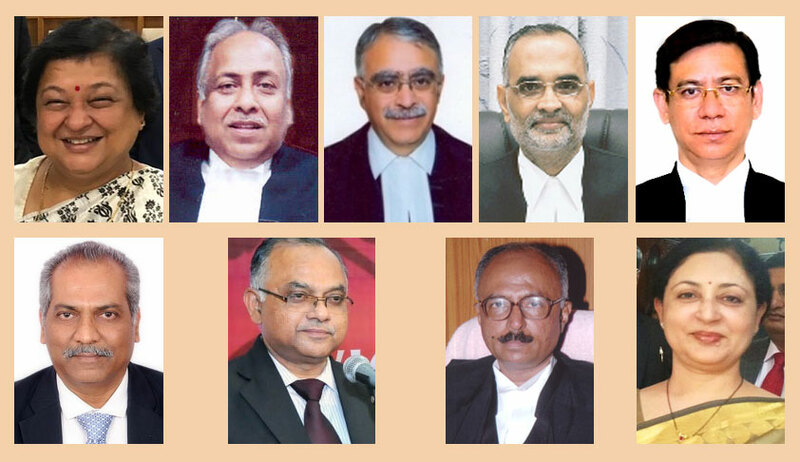 The Acting Chief Justices in the eight High Courts are Justices Jyotirmay Bhattacharya(Calcutta), Gita Mittal (Delhi), Sanjay Karol (Himachal Pradesh), D.N. Patel (Jharkhand), N. Kotiswar Singh (Manipur), H.G. Ramesh (Karnataka), Antony Dominic (Kerala) and Ramesh Ranganathan in the High Court of Judicature for the States of Telangana and Andhra Pradesh. Acting Chief Justices take charge as a temporary arrangement after the retirement of the Chief Justice. However, presently, many of the Acting Chief Justices have been in charge for a long time now. Justice Ranganathan has, in fact, been administering the High Court for well over a year now, having taken up the post on 30 July last year. While Union Law Minister Ravi Shankar Prasad recently claimed that the Government was set to make the highest number of appointments ever made to the High Courts of the country within a year, the current vacancies still stand at 392 out of a sanctioned strength of 1079, as on 1 December, 2017. Besides, it has also been reported that more than 30 million cases are pending in various courts across the country. In such a scenario, it is imperative that the appointment process be fast-tracked, if the situation is to be salvaged from here on.